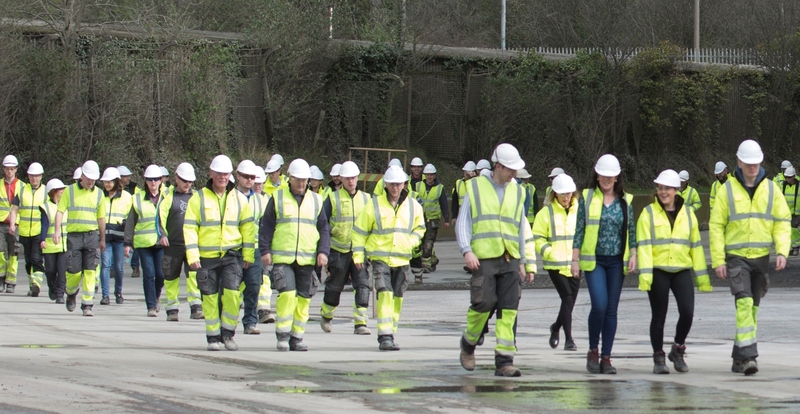 In order to mark National Workplace Wellbeing Day, staff in Irish Cement in Platin took part in a one mile walk for charity, organised by the company, on Friday 31st March. The aim of the walk, which was registered as an official event for the day, was to promote the value of positive wellbeing in the workplace. Irish Cement will also present a donation to the Irish Heart Foundation, on behalf of employees. The walk is part of a programme of events over an 8 week period that encourage healthy living and a healthy workplace environment.